Everything DiSC targets your general behavioral and personality characteristics, which includes your strengths, your behavioral overview, your motivating factors, your preferred environment, things you tend to avoid, strategies to increase your effectiveness and success, factors that reduce your motivation, insight about your behaviors in conflict situations, and coaching and action planning questions. Everything DiSC Work of Leaders focuses on one unified model of leadership—vision, alignment, and execution—to help leaders understand their own leadership styles and how their tendencies influence their effectiveness in specific leadership situations. This program approaches leadership as a one-to-many relationship (as opposed to the one-to-one relationship explored in Everything DiSC Management). An at-a-glance view of an unlimited number of respondents and their individual Everything DiSC maps. Examines the Everything DiSC culture of a group, exploring the advantages and disadvantages of each style, its influence on decision making and risk taking, and its effect on group members individually—based on different Everything DiSC styles. Report illustrates their similarities and differences of any two participants, with potential roadblocks in working together, and practical tips for improving their working relationships. A composite of a group's Everything DiSC styles, including the names and styles of each participant, and graphics that illustrate at-a-glance the distribution of styles within the group suggest ways to customize the delivery of the material or plan for breakout sessions to get the most out of the program. 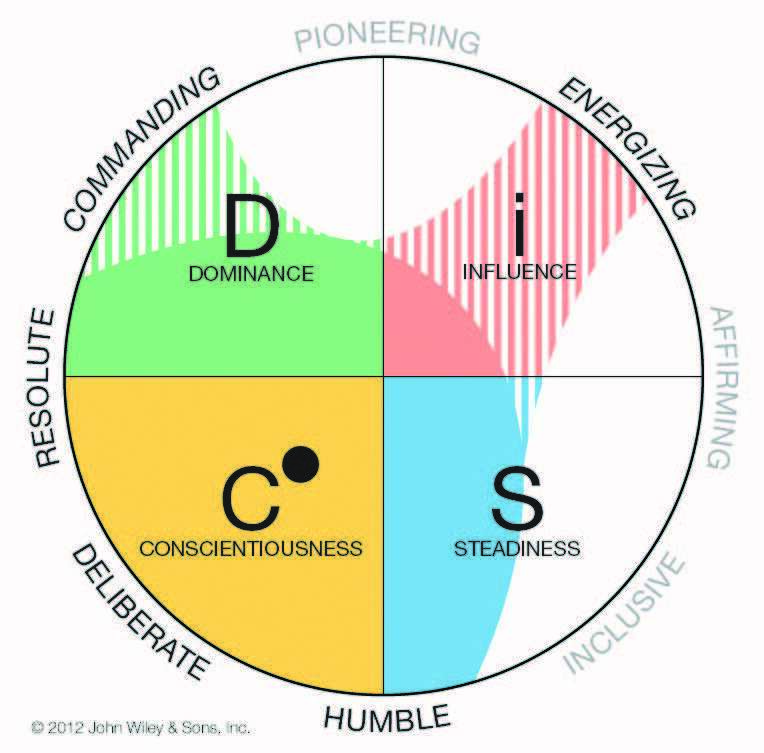 In-depth data on an individual’s Everything DiSC assessment to help facilitate a richer discussion about a participant’s Everything DiSC style, including unexpected items.